This is what happened the year I met my other mother. In 1965, Robin, unmarried and pregnant, comes to Melbourne to give birth and give her baby up for adoption, then returns to Perth to resume her life having never seen her baby. After 10 days alone, the baby, is taken home, named Susannah, and made part of a wonderful family that loves her. The adoption laws at the time guarantee that there can be no contact between birth mother and child. Ever. In 1984, the law is changed and sealed files can be opened. In 1989 Robin tries to make contact with Susannah who is now the same age as Robin was when she had her. Susannah replies to Robin in a letter, declining contact. 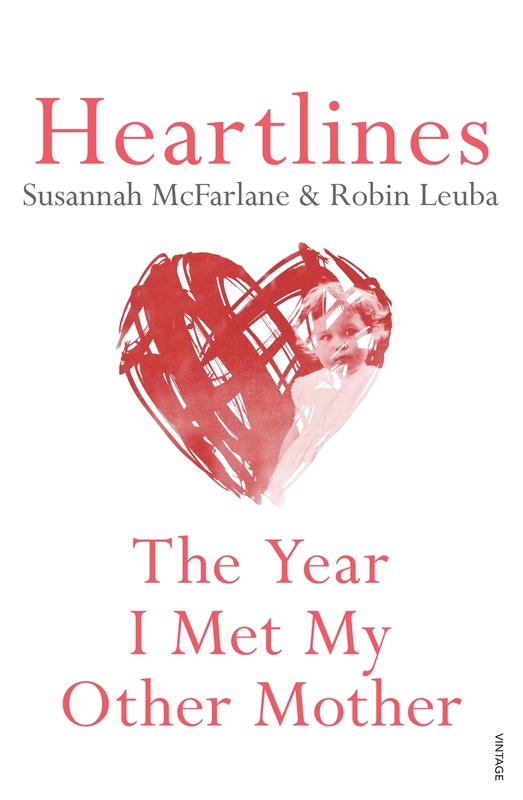 In 2014, Susannah, at the same age Robin was when she wrote her first letter, writes Robin a different letter. The heartlines open. After nearly fifty years apart, a mother and daughter are reunited. But the path to a relationship is not smooth. Very few adoption reunions result in meaningful, long-term reconnection. The fragile relationships stumble and fall under the weight of years of repressed anger, hurt, grief and loss, different beliefs and of whole lives spent apart. A feeling of connection isn’t enough. You have to fight for a relationship. This is the story of two women who did. The raw openness of their writing and the breakneck speed of their reconnection is compelling. Heartlines is at once both unique and universal. It’s a story of courage and what can happen when you open rather than close your heart; when you decide to stay just as every fearful instinct tells you to run away. Heartlines is about connection and reconnection and why relationships are worth the fight. It is a piercingly honest and often hilarious story of what it takes to reconnect – and stay there – after a lifetime apart. Fast-paced, warm and funny, this is an adoption story that pulls the reader on to a wonderful if wobbly rollercoaster ride, exploring themes of family, motherhood, loss, belonging, hope, courage and the importance of never giving up. 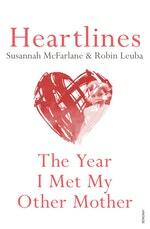 Heartlines author Susannah McFarlane explores the power of the maternal bond. Love Heartlines? Subscribe to Read More to find out about similar books.